It really is a buyer's market. 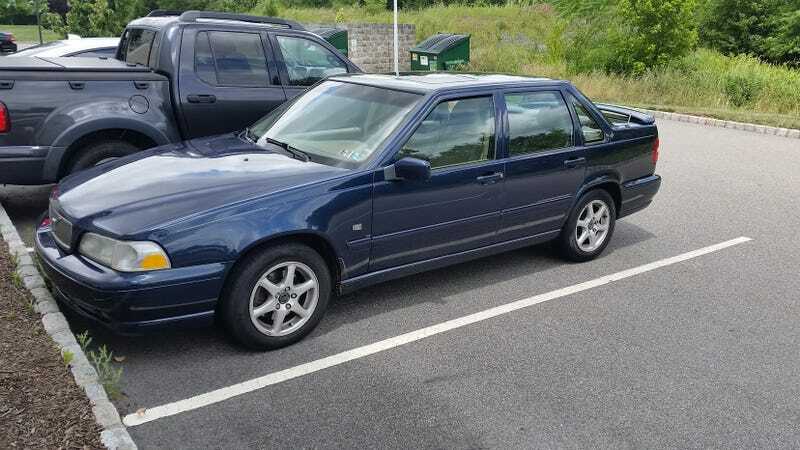 Picked up this 2000 Volvo S70 5spd for $750 a few days ago. Judging by the truly heroic number of good, roadworthy cars listed on the various interweb marketplaces for less than $1k these days, I say now is the best time to buy a cheap used car since before Cash 4 Clunkers. The Volvo has 299k on the clock, a stock of service records three inches thick, and a timing belt that will be changed by me soon. It’s in remarkably good shape for an 18 year old Swede that’s gone to the Moon and is on its way back. All the electrics work, no fluid leaks, even the A/C blows cold! Quiet as a whisper, too. Oh, and it’s still running the original clutch.